It’s the winter that just keeps on giving. Don’t put those skis or boards away just yet. Check out these events and lift and lodging packages taking place this weekend and into mid-April across the Heartland. 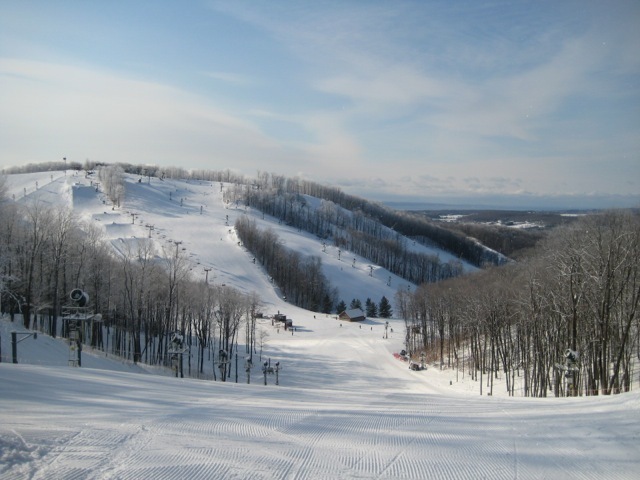 Caberfae Peaks will be open for skiing and riding this coming weekend and April 5-6 from 9 a.m-4:30 p.m. This weekend lift and lodging packages start from $59 per person, and packages start from $69 April 4-5, the last weekend of the season. Crystal Mountain plans on staying open daily through April 12. Spring Break packages, March 31 through April 13, start from $109 per adult, per night. Children eight and under sleep, ski and eat breakfast free when staying with guardians, and two kids, ages 9-17, sleep and ski free with each paid adult midweek on the plan. Nubs Nob is staying open through April 13, just in time for spring break and Spring Ski & Ride promotion. Your lift tickets are included in your lodging rate when staying at one of the participating lodging properties in the Petoskey/Harbor Springs area. Rates start from $44 per person, per night, based on double occupancy. Boyne Mountain rolls out a jam-packed schedule of fun for spring break, March 28-April 13, which includes horse-drawn wagon rides, bonfires and s’mores, Avalanche Bay Water Park, live music, ziplining, Michigan beer and wine tasting for adults, and all the great skiing and riding. All trails are fully open. Spring Break packages for a family of four starts from $207 per night and includes lift and lodging, breakfast buffet and Avalanche Bay admission. The Mountain plans on staying open daily through April 20. In Michigan’s UP Ski Brule is hosting Life’s A Mountain Beach Party this coming weekend with lots of family activities planned. Spring Break lift and lodging packages offer $25 off per person, per night. They will be staying open through at least Easter weekend on a daily basis. All trails are fully open and covered with lots of snow. $60 Carload Day takes place April 6. Pack the car and everyone in it gets a lift ticket. Big Powderhorn, also located in the western UP, is extending its season on weekends through April 13, and lift and lodging packages for two days of skiing/riding for two adults starts from $199. Use promo code SKISTAY when making a reservation by phone or online. Lutsen Mountains is hosting Sweetwater Shakedown April 3-5. The three-day music festival celebrates the coming of spring with a great lineup of American roots music including Bluegrass Ball with the Travelin’ McCourys, Leftover Salmon, Gordon Thorn and Paul Mayasich. Concert tickets are $28 at the door and $22 in advance online. Lift, lodging and concert three-night packages start from $212 per person, based on quad occupancy. All four mountains are full open, and the skiing are riding conditions are some of the best in decades heading into spring. They plan on staying open through April 20. Giants Ridge has extended its season on weekends through April 13, including their famous Friday night walleye fish fry and Saturday crab night, offered in the Lodge at Giants Ridge. Spring Break Lift and Lodging Specials start from $200 per person for three nights lodging and two days of skiing and riding.